You can use this Mod Podge on all sorts of paper crafting projects from fashion accessories, functional furniture, wall art, card-making, scrap-booking, altered art, and more. Convenient and well loved for its flexibilty, versatility, and supreme ease of use. As it is water-based it is easy to clean up, non-toxic, perfect for younger crafters. 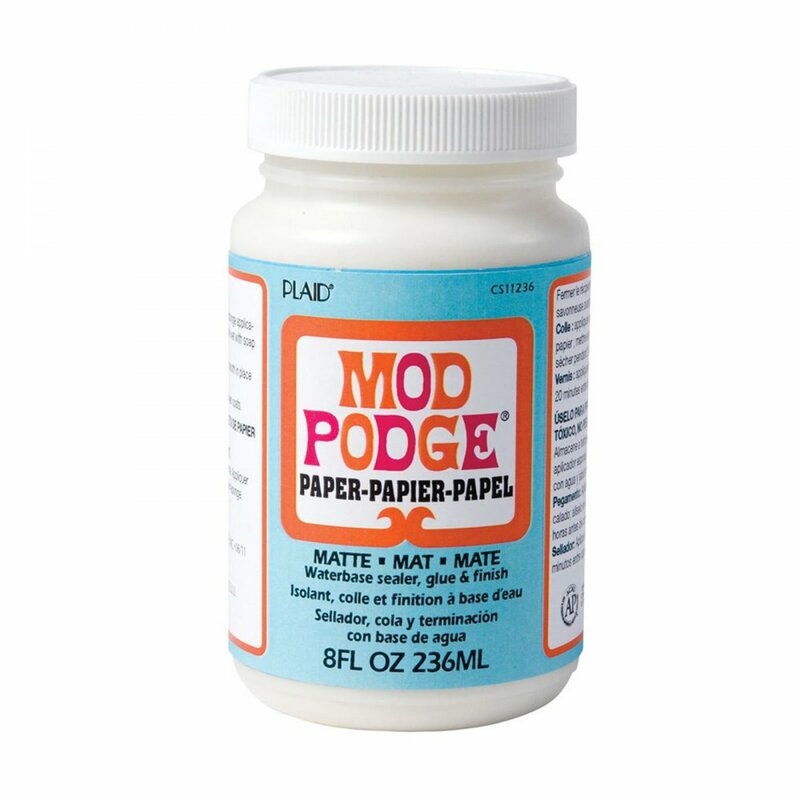 Showing 2 Plaid Mod Podge Paper Matte 236ml /8oz reviews. Average rating of Excellent. Would you like to write a review? This is a great paper, and card glue, that does what its supposed to do, but with the added bonus of NO RIPPLES,!! Lots of paper glue, either buckles or ripples the paper so once dried looks awful, but this one doesn't!! How fantastic to find this, for anyone doing paper crafts and much more, this is the one to go for. Mod Podge is brilliant stuff, apart from being a glue and a sealant for delicate surfaces it can be mixed with paints, have glitter or mica added and it can be used through stencils to add texture. Just a few of its many uses. I can't recommend it strongly enough.